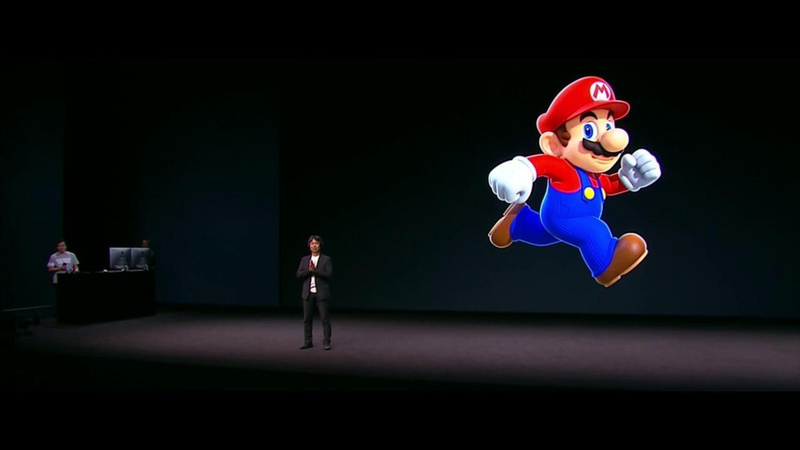 Yesterday, Nintendo caused quite a stir by confirming Super Mario Run for iOS devices at Apple's yearly conference. Unsurprisingly, the news triggered Nintendo's share price to leap sharply, rising as high as 18 percent before settling down to a still-remarkable 11 percent at the end of the trading day. DeNA - the company which has partnered with Nintendo on its mobile games - also benefitted from the announcement, with its shares rising 21 percent before eventually settling down to around 10 percent as the day drew to a close. The last time Nintendo's shares experiences such a sharp rise was when Pokémon GO was launched. However, the company's value dipped when investors became aware that Nintendo wasn't as directly involved with the game as they had assumed, and would therefore gain "limited" financial reward from its success. 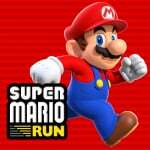 Given that Super Mario Run is a Nintendo-developed game, we're unlikely to see these gains melt away quite as fast - although that is obviously dependant on the success of the app itself, which appears to be free-to-download and offers players a one-time payment to unlock all of its content. Given that Pokémon GO's revenue is driven by IAPs, it will be interesting to see if Mario can generate quite as much cash as those popular 'mons in the light of its one-time payment strategy. Saw this last night on my Yahoo finance app. I think "Nintendo stock rises" was trending almost as much as SMR. But of course the real question is what happens if, I mean when, NX ever gets revealed. I'm not going to hazard a guess. i still think they should've made super mario player. It's always initially a large jump before it settles down. I thought I read that the jump was 26%. Either way, it's big but always levels out. Nintendo will take a much larger share of the profits from this Mario game than they have from Pokemon GO. But I don't think Super Mario Run will be anywhere near as successful. I would have made millions if this is Streetpass Trader (Market Crasher). @Dakt Good to be wary of it, because Nintendo is a business in the end and it's a tough battle even for true believers in gaming fun against shareholders and just the reality of survival. Here's my optimism for you though. You said, "But its improving while the company is no longer putting so much first party games out" which is technically true, but only because the energy behind first party games is behind the scenes and apparently in earnest for a new generation of hardware that has had a foundation of combining portable and home game development efforts. It could very easily have the net effect of the perception of much more first party games for dedicated hardware within a year. An influx of new people interested in Nintendo again due to outreaches like the mini NES and the mobile games can help all of that succeed and get you exactly what you want. Maybe. @Dakt The more money Nintendo make - the more quality games we get... Amen..
@Dakt Same worries here. If it reassures you, my worries tend to be unfounded. And then Nintendo launched the NX with a NSMB game, its mobile games, a port of Smash and BotW's promises. Calling it now. As long as runner mobile spinoffs are a fun diversion and not the norm, I'm perfectly fine with them. I might be investing in Nintendo stocks before Super Mario Run releases. @Dakt Sony are about to plunge int o Mobile. @Dakt Well, consider yourself lucky you're into 3DS, I'm a home console gamer only and I felt like Ntineod ran me over w/ that 3DS ND, then thru it into reverse and backed over me w/ that "sneak" Apple reveal yesterday. And my family is Android all the way, so that didn't help either. You can peruse over my past few comments here to see how unhappy I've been. Warning, not for the feint of heart. amiibo is actually less than I thought it would be. At the Play Ntnedo Mall Tour this summer there wasn't a single amiibo to be had anywhere. (same for Wii U) There was however a big wall of Van's merchandise and a sneaker display. Which tells me Nintnedo is going all in on merchandising, moreso than amiibo. Oh, and a NES Classic Mini display. So nostalgia. Nostalgia and merchandising, that's were the money is going to come from. 2D Mario runner is the nostalgia part. Apple exclusive is the merchandising part. And I say more power to them. Make money. Make clothes. Make an amusement park, movies and TV shows. But if you want me to spend any money on any of it show me the bloody NX already. B/c if it's only a 4DS, then I'm out of here. At least you could stick around to enjoy that. I woudln't worry if I were you, Nintnedo won't abandon the handheld market, too many kids want to play Pokemon and too many adults want to play Monster Hunter. And if you happen to come across any of my mad ramblings about a Nintnedo tablet, maybe instead of a handheld, don't worry, plenty of tablet games play w/ controllers these days. Nintnedo will make those games. Full pay apps, while something I prefer to the free to play, or the in app purchases (coins etc...) are not as revenue generating, so I don't see this making as much money as pokemon go. It's east to spend a dollar in pokemon go, and to do it over and over again over a period of time, not knowing how much you ended up spending. The caveat for a full pay game is to get people to upfront all the cash, (which might be $4.99?) since mobile has a reputation of "FREE" its tough to make significant profit from it. But we'll see, Mario is an extremely strong brand, so who knows. I can see the stock dipping sharply again when investors realize that the game isn't a free-to-start game with constant IAPs. The free to download and buy the full thing via a one time IAP is a method that's been done before, but has fallen by the wayside because it's seen little success. Time will tell whether it works for Nintendo. @Dakt I really disagree on this. Since Pokemon go released the 3ds has jumped and the sales of X and y/ omega ruby have skyrocketed. These mobile titles are going to drive people to their hardware.